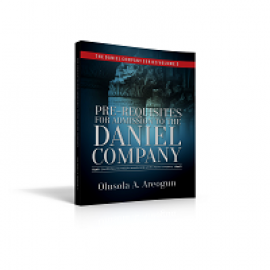 This book, pre-requisite for Admission to the Daniel Company is a sequel to The Making of a Daniel and the third in the Daniel Company Series. The body of Christ is in the recruitment season for this .. In this prophetic book, Rev. 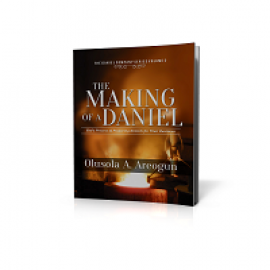 Olusola Areogun with his arsenals of teaching strategies and trainer's anointing reveals God's process for preparing the members of the Daniel Company for their manifestat.. 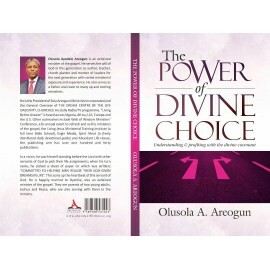 I wrote this book, The Power of Divine Choice to let you know that you are the chosen boat on the sea of life. Luke 5:1-3 says “And it came to pass, that, as the people pressed upon him to hear the wo.. Questions are really the answers. If there are no questions, we may not be able to plunge the depths that God has available for us. My husband, and spiritual father Reverend Olusola Areogun would remi..
Man was never created to operate alone. A major component of the existence of man that God put in place at creation is his relationship with Divinity. The Fall of man brought a separation between God .. 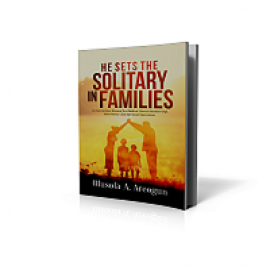 He Sets the Solitary in Families is a compilation of different teachings of a seasoned instructor in the body of Christ. God who calls a man to lead His work also calls members to that Church. Just.. The Subject of the Believers Obligation to soul winning is not popular with this generation. the prosperity message and he message of faith have largely replaced what is actually the heartbeat of God .. 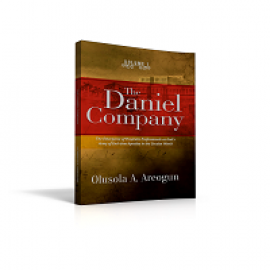 This book is a training programme for the church and you as an individual to get ready for the spiritual watch. The Lord showed Rev. Olusola Areogun that the last day's battles and assignments are are..